Background: Alyssa Schwenk is the director of development at Bellwether Education Partners. In this role she leads fundraising strategy and funder relations to support work across Bellwether's Policy and Evaluation and Strategic Advising teams. Prior to joining Bellwether in 2018, she worked at the Thomas B. Fordham Institute, an education reform think tank. As Fordham's director of external relations, she oversaw the organization’s development, communications, partnerships, and strategy efforts, helping to expand its portfolio of foundation partners as well as the impact of its work. She started her career as Teach For America corps member teaching early-elementary grades at a D.C. charter school. 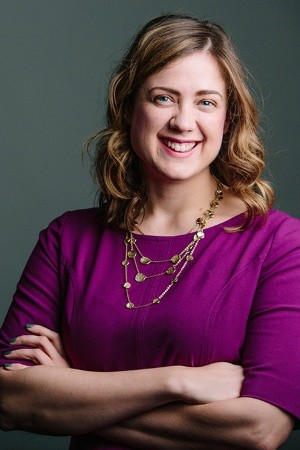 Originally from Iowa, Alyssa holds a bachelor's degree from the University of Pennsylvania and master's degrees from George Washington University and George Mason University. Why I do this work: Growing up in small-town Iowa and teaching in Washington, DC showed me the myriad ways in which access to a great education — and the opportunities it provides — is distributed unevenly across the country. I believe that creating excellent schools and policies is the surest way to right these inequities and create a better tomorrow.